If you own an automatic garage door, you are most likely using the system on a daily basis at least twice a day. Each time the door opens and closes, there are many parts moving together to make sure you gain access conveniently and easily. Such are the tracks, springs, cables, rollers, and of course the opener. 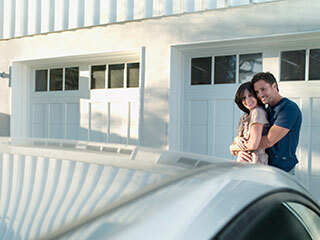 Just like it is important to get maintenance for your car, so it is for your garage door. After all, this system is a large and heavy mechanism you and your family trust to let you in and out on a daily basis. If you spot various small issues early, you can prevent them from becoming bigger later on. For example, seeing the door is slightly hanging on one side, even slightly, could indicate that one of the springs is either in need of adjustment or replacement. A broken spring is never a nice ordeal, and many people discover it when it's too late and they can't get their door to open. Count on our experts at Garage Door Repair American Fork to inspect every part thoroughly, lubricate the necessary parts, adjust the tension, program your opener, replace the weather strips, and do any other maintenance task needed to make sure your door is in tip-top shape and ready to face the weather and everyday use! Give our experts a call today or schedule your appointment online, and we will make sure your door is in its best condition for years to come!